Oregon's congressional delegation has joined the fray in calling foul on tariffs that are impacting the local hazelnut industry. 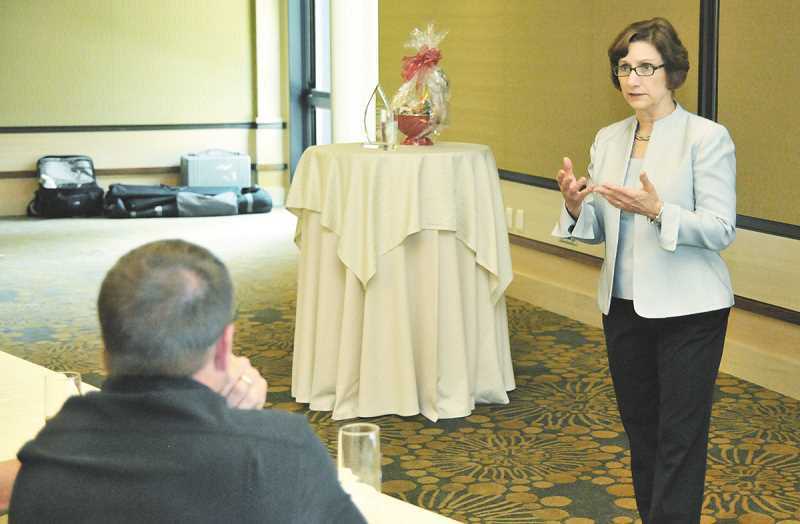 U.S. Reps. Suzanne Bonamici, Kurt Schrader and Peter DeFazio joined Sens. Ron Wyden and Jeff Merkley last week in calling on the administration of President Donald Trump to work to reduce or eliminate the severe Chinese tariffs levied recently in response to tariffs leveled on that country by Trump. "U.S. hazelnuts now face even higher Chinese tariffs imposed in retaliation to new U.S. tariffs on Chinese imports," the cadre of representatives and senators wrote in a joint letter addressed to U.S. Trade Representative Robert Lighthizer, U.S Department of Agriculture Secretary Sonny Perdue and Commerce Secretary Wilbur Ross. "U.S. hazelnut farmers and producers find themselves at a disadvantage when competing with other producers that are subject to lower tariffs, or are not subject to tariffs at all." The group said that tariffs levied by both sides of the trade war were "making it difficult for them to compete with growers in other countries." Oregon hazelnut growers and handlers have been dealing with a 25 percent tariff, as well as a value added tax (VAT) ranging between 10 and 14.5 percent, on their product in China for years, but were hit with an additional 25 percent tariff this summer in response to the Trump administration's measures on Chinese imports. That brings China's applied tariff rate on U.S. in-shell and shelled hazelnuts to 65 percent and 50 percent, respectively. About 800 farm families in Oregon grow hazelnuts on 67,000 acres of land. As the largest county in the state for hazelnut production, Yamhill mirrors the industry at the state level, which in turn represents about 3.5 percent of the world market. In turn, the tariff situation with China is impacting hazelnuts more than any other agricultural industry in the county. According to Polly Owen, director of the Oregon Hazelnut Industry Office, virtually all of the Oregon hazelnuts sent to China are unshelled, which represents about 35 to 40 percent of overall production. China does produce its own hazelnut varieties, but they are much smaller than those from Oregon. Oregon's nuts are in competition with those from other countries, like Chile, which do not face any import tariff in China. "Chinese consumers love Oregon hazelnuts," said Larry George, co-founder of George Packing Company in Newberg. "They just can't get direct access to them and we would love to ship directly to them, but we can't." George said the existing Chinese tariffs were already forcing Oregon hazelnuts to be sold and shipped to third parties, which cuts into profits for growers and handlers (processors), of which George is both. Owen estimated that about half of each year's crop is sold unshelled, with the other half going to the kernel (shelled) market, but that can vary from year to year depending on which market is more lucrative. The U.S. kernel market is a major one and Oregon farmers do tap into it, but the worldwide kernel market is dominated by Turkey, which produces 70 percent of all hazelnuts. Shifting to the kernel market this year won't provide a great solution, though, as the plummeting value of the Turkish lira has significantly lowered prices. the congressional delegation is now pressuring the Trump administration to do. "We urge you to engage with China to level the playing field for our Oregon farmers and therefore help their industry thrive," the group wrote in the letter. "We encourage you to seek an elimination or substantial reduction of China's burdensome tariffs on Oregon in-shell and shelled hazelnuts as part of any future dialogue with China on tariff barriers to U.S. agriculture exports. The reduction or elimination of these tariffs would make a meaningful difference to Oregon family farmers and U.S. producers."